Discussion in 'Pricescope Testimonials' started by Pbonz, Oct 11, 2017.
a little late to post this as Martin and I went back and forth for a month before we found my perfect diamond. I must say Martin was the absolute best. I saw quite a few dealers during this time but Martin by far blew me away. He was on top of everything, worked tirelessly for me ( I wasn't easy haha) and we got the perfect match. 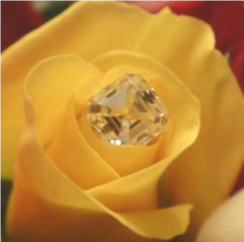 From the day we picked the diamond, to receiving it Martin was in contact with me always. Do not judge based off the website, I was hesitant because of it at first but believe me. CALL HIM. Hi. What is the story with USA Certed Diamonds? They are the only vendors that come up on the pricescope diamond search. Their website is well.... a little on the seizure inducing side, and there are no pictures of any of their diamonds. How does the site work? You email Martin and he will get you photos and/or video of the stone(s) you're interested in. I had emailed him about one and he was thorough about follow-up. We eventually decided against than one (and actually I think I may have forgotten to email him back to let him know) because there was no return period. I've read conflicting accounts on PS about US Certed though just fyi.